Building a startup is a full-scale adventure, laced with adrenaline and terror. You must race to profitability, and prove that your business model has viability, or you will never make it. Why is it worth the work it takes to build a company? Join “Creative in Business” host Kelly Galea for this conversation with award-winning author Pamela Slim. 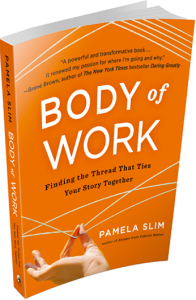 Pam shares the framework of building a body of work, and helps you link your business success with great personal and professional legacy. 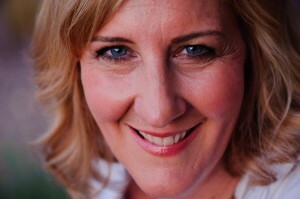 Pamela Slim is an award-winning author, speaker and leader in the new world of work. She spent the first 10 years of her solo practice as a consultant to large corporations such as Hewlett-Packard, Charles Schwab and Cisco Systems, where she worked with thousands of employees, managers and executives. In 2005, she started the Escape from Cubicle Nation blog, which is now one of the top career and business sites on the web. She has coached thousands of budding entrepreneurs, in businesses ranging from martial art studios to software start ups. Her new book, Body of Work, will be released with Penguin Portfolio on December 31, 2013.